Deirdre M. Smith is Director of the Cumberland Legal Aid Clinic, which was established in 1970 and is one of the oldest continuously-operating law school clinical programs in the country. Through the Clinic, student attorneys are specially licensed to practice law and represent real clients in matters ranging from child custody disputes, to immigration matters, to criminal cases. Under the leadership of Professor Smith, the Cumberland Legal Aid Clinic has expanded to include clinical courses in the areas of Juvenile Justice and Refugee and Human Rights. Professor Smith teaches General Practice Clinic and Evidence. She is highly regarded for her extensive scholarship, which has focused most recently on minor guardianship, child protection, and kinship care. Professor Smith is a member of the Professional Ethics Commission of the Maine Board of Overseers of the Bar and a former Chair of the Maine Supreme Judicial Court’s Advisory Committee on the Rules of Evidence. She serves as consultant to the Maine Family Law Advisory Commission on minor guardianship and adoption laws. She also works on reform initiatives to improve access to justice for low-income Maine residents and Maine’s court system for family matters. A former law clerk for Chief Judge Gene Carter of the United States District Court for the District of Maine, Professor Smith practiced for several years with the Portland law firm of Drummond Woodsum & MacMahon. 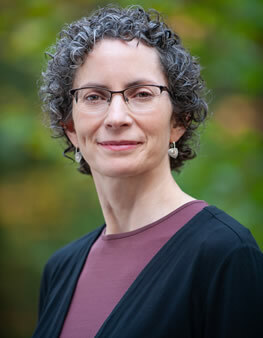 Through her varied civil litigation practice at the firm, Professor Smith represented educational institutions, businesses, municipalities and individuals in jury and bench trials, arbitrations, and mediations, as well as in appeals before the Maine Supreme Judicial Court and the United States Court of Appeals for the First Circuit. MAINE SCHOOL LAW (Harry Pringle & Amy Tchao, eds., 2001) (co-author of Chapter 6: “School Litigation and Liability”). Representing Deaf Clients: What Every Lawyer Should Know, 15 ME. B.J. 128 (2000) (with Elizabeth Gallie, Esq. ).